AFTER failing to get the desired results with local employment agencies, Workforce Singapore (WSG) has turned to foreign recruitment firms for help to tackle joblessness among local professionals, managers, executives and technicians (PMETs) here. And this time, the government skills and employment promoter is hopeful they will do better. Following a global hunt, WSG has signed up two overseas placement companies in a two-year pilot project to expand WSG's suite of career-matching services. Ingeus Pte Ltd has already taken up some cases since it opened for business on April 3 at the Lifelong Learning Institute. The other firm, which WSG declined to name for now, will start operations only at the end of June. WSG said in a press statement that the foreign firms will localise their know-how and provide free help to PMETs who have been seeking employment for at least three months or made redundant. A random selection of job-seekers who approach WSG Career Centres or NTUC's e2i centres for help will be assigned to career coaches from the two firms, which will not only guide them on how to secure a job, but also how to get the right one. Of the 11,080 local residents laid off last year, 72 per cent were PMETs - who have a below-average rate of success in finding a new job within six months. 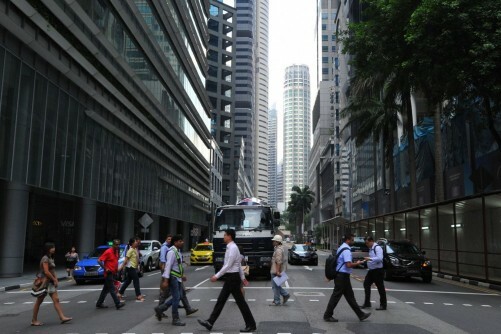 The move to work with private-sector recruitment agencies from abroad to help bring back unemployed local PMETs to work was first announced by Manpower Minister Lim Swee Say in Parliament last month. He said the partnership is part of the government's plans to help more job-seekers who are "missed match" cases. "They are ready for the jobs, the jobs are suitable for them, but they have yet to find each other." Government data show six in 10 PMETs who lost their jobs are rehired within six months. The success rates of local placement firms that WSG "experimented" with over the past few years did not even come close to the 60 per cent figure. WSG had found the local recruiters, usually engaged by employers to fill positions in their companies, to be "more employer-centric". Often, they were paid based more on efforts than results. Poaching tends to be the modus operandi of local recruitment agencies, so their targets were mostly workers still employed and not actively seeking a new job. On the other hand, the two foreign placement firms that WSG are partnering focus on active job-seekers. They have established track records in working with foreign governments including Australia, South Korea and the United States. They also provide end-to-end career-matching services which are key in driving placement outcomes. Payment to the two firms will be based on outcome, with a focus on the harder-to-place job candidates. WSG said the firms will offer job-seekers customised career advice and coaching sessions. "Job-seekers will gain access to industry knowledge and insights, and receive coaching in resume preparation, managing interviews and profiling themselves to prospective employers to highlight their strength." Ingeus originated in Australia and was founded by Therese Rein, wife of former Australian prime minister Kevin Rudd. Ingeus has 10 employees in Singapore, all locals and led by operations director Adrian Tan. An Ingeus adviser from abroad will help with knowledge transfer to the team as it sets up operations. This article appeared in The Business Times on April 07, 2017.